Meliora Consulting recently hosted 27 trainees from 9 companies for 4-day Six Sigma Green Belt training. Throughout the week, 5 Master Black Belt instructors presented key Six Sigma concepts and tools through a variety of presentations and hands-on exercises. The class walked through the DMAIC (Define, Measure, Analyze, Improve, and Control) process as a systematic approach to driving sustainable change. Students applied the DMAIC tools to a hands-on project using a small scale catapult and target, with an objective of increasing process capability by reducing variation. For the project, each team defined scope, measured baseline data, analyzed the process to identify root cause, implemented solutions, and developed control plans to ensure that improvements could be sustained over time. Each team implemented solutions which addressed root cause and displayed significant improvement in results and Team Accupult was awarded prizes for the best overall presentation. In addition to the catapult project, trainees were given the opportunity to apply Six Sigma tools to project ideas from their organizations with guidance from the Master Black Belt instructors. Following the Four T’s of Communication (Tell them what you’re going to tell them, Tell them, Tell them what you told them, and Test the transfer), class ended on Friday with a competitive quiz game that went to a sudden-death overtime. Congratulations to MT Twizzlers, champion of the quiz game! 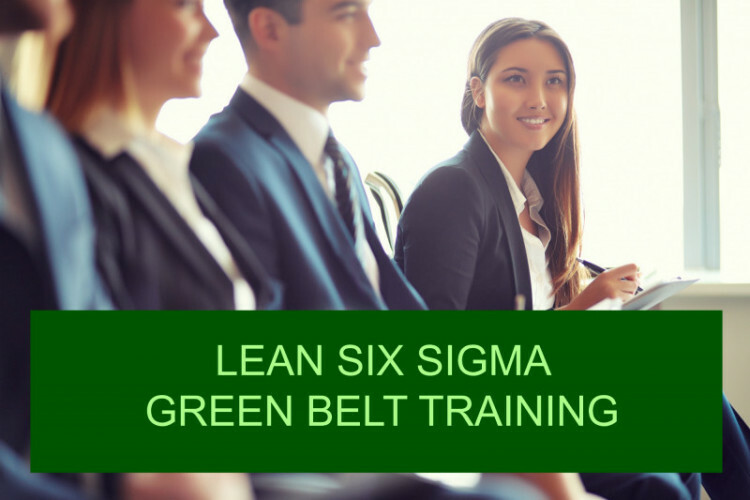 Students who attend training, pass the Green Belt exam, and lead a project using the DMAIC process will earn Green Belt Certification.